Most people can wear contact lenses. In fact, they have frequently been used in premature infants, who sometimes have vision problems. With proper care and lens maintenance, infants, young children, teens, and adults of all ages can wear contacts effectively. Recent advances in contact lenses include astigmatism-correcting lenses, bifocals, daily disposables, and frequent-replacement lenses. 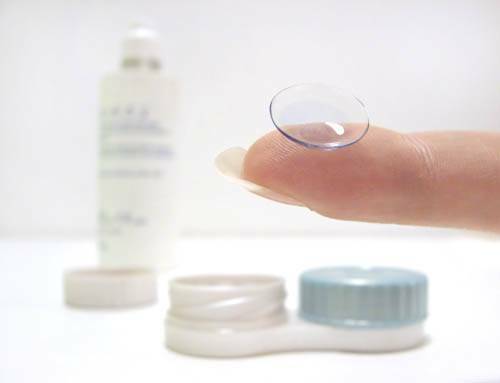 Whether you’re nearsighted or farsighted, older or younger, you can probably wear some type of contact lens. Sports vision doctors agree that contact lenses are the best vision correction option for athletes. They can enhance visual skills like depth perception, peripheral awareness, and eye-hand/eye-foot coordination. Unlike glasses, contacts offer athletes a competitive advantage because they stay in place under dynamic conditions, provide a wider vision field, and eliminate the risk of glasses-related injuries. Contact lenses also make it easy to wear protective goggles. Click here for more information on contact lenses and sports. Contact Lenses Can Actually Slow or Control Nearsightedness! Many contact lens specialists agree that GP contact lenses, which are made of firm plastic, may slow the progression of nearsightedness (myopia), whereas spectacles or soft contact lenses offer no such benefit. Myopia control is one reason why GP contacts are an excellent choice for many school-aged children and teens. Various eye care practitioners are continuing research in this area. How can I get contact lenses that change the appearance or color of my eyes? Soft contact lenses are available that will change the color of your eyes, even if you don’t require vision correction. Costume lenses for Halloween or theatrical purposes are also available. Both are still a prescribed medical device that must be fitted and followed up by your eyecare professional. And remember, even though such lenses might provoke curiosity by your friends and family members, never share them with anyone. Sharing lenses can lead to dangerous health problems. The cost of contact lenses can vary greatly. If you have a difficult prescription or need correction for problems like astigmatism, your lenses will be more expensive. If you have no special requirements, your options will range from daily disposables (fairly high cost) to GP contacts, which are thought by many to provide the greatest value. GP contacts, though initially more expensive, can last for years and are inexpensive to care for. Consumer Reports called GP contact lenses a better buy “because they’re more durable and cheaper to maintain.” Fortunately, GP contacts can also accommodate any prescription, no matter how difficult, because they are custom-made for each individual wearer. Ask your doctor. It depends on the type of lens you’re wearing, the composition of your tear film, your general eye health, and other factors. GP contact lenses and certain soft lenses can be slept in, but never wear them while sleeping unless your eyecare practitioner says you can. I’ve never worn contact lenses, and the thought of putting something in my eye is a little scary. Yes you can. Grasp the upper eyelashes between your thumb and index finger and gently pull the eyelids apart. They aren’t. Hold the top lid up and rest the edge of the lens inside the lower lid with the lens slanting out. If you look down, the lens usually moves right onto the eye. You can’t. The lens won’t fit right unless it’s centered, and it has a natural tendency to move to the center of your eye. Your eyecare professional can show you how to move it into position if you do get the lens off the cornea. Don’t worry, this is completely impossible. Usually it’s because the lens is attracted to the wettest surface, and your finger is wetter than your eye. Dry your finger, and let your lens air-dry for a few seconds before insertion. The good thing about GP contact lenses is that they can’t flip inside-out. But if it’s a soft lens, look at it closely. If the edge is flared out, it’s probably inside-out. Some soft lenses have little marks to help you know if they’re inside out. No. If you’re wearing a GP contact lens, just pull your eyelid taut to the side and blink. It pops right out. For a soft lens, use a few drops of rewetting or solution to keep the lens wet. Look up, touch the lens, and let it slide down and over to the outside corner of the eye. The lens will bunch up, so it’s easy to fold out. No. Just make sure to wash your hands first.